I have always made sure to have non-fiction, educational books on our bookshelves. 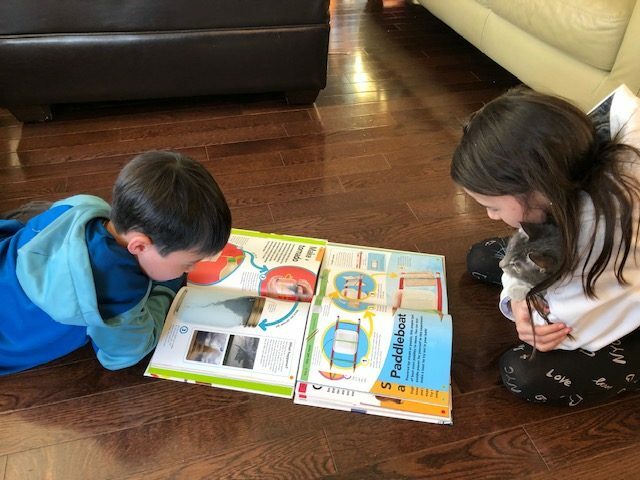 My children love looking through books for new project ideas and reading fun facts. Disclosure: DK Canada sent copies of the following books for review. All thoughts and opinions are always my own. This post contains affiliate links for your convenience. 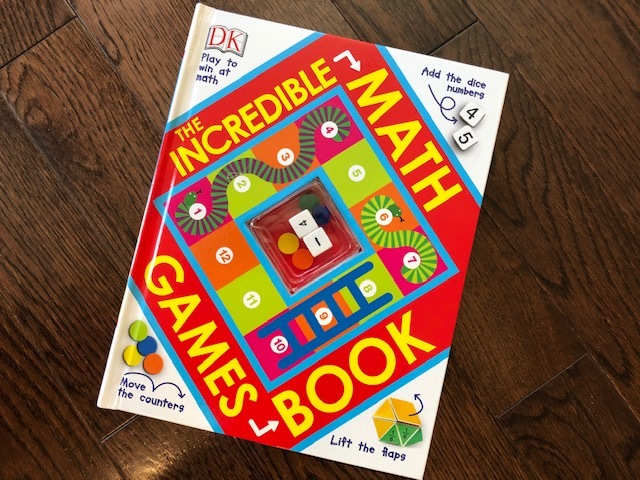 This spring, my kids will be learning all about How to Be An Engineer, How to Be a Scientist and play some fun math games with The Incredible Math Games Book thanks to new DK books. I absolutely love these two books for curious kids. The How to be a Scientist book teaches kids how to think and like like a scientist. 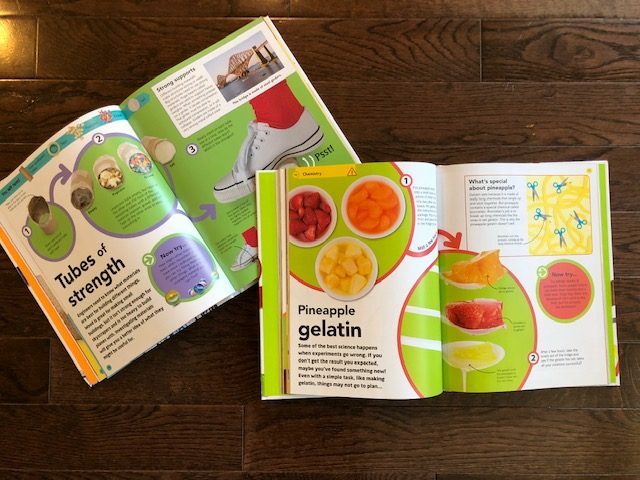 The book is filled with fun activities and experiments that can be done at home. It also has easy to understand explanations for things like the water cycle and highlights many famous scientists like Marie Curie. My kids have already done a handful of the activities in the book and have enjoyed them all. In How to be an Engineer, kids will learn how to think and act like an engineer. It also has tons of fun activities, simple explanations and highlights famous engineers. Our favourite project in this book is the Ping-pong Catapult. 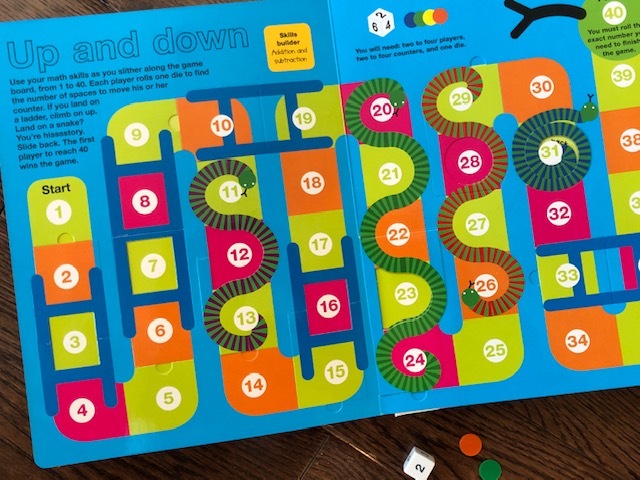 This fun hands-on book comes with two dice and four counters. The book contains 8 ready to play math games that test a variety of skills. Each game builds specific skills. These include addition and subtraction, shapes, fractions and times tables. The games are all very colourful and have easy to follow instructions. All three books are now available in stores and online. I highly recommend you pick one up for the curious kid in your life. 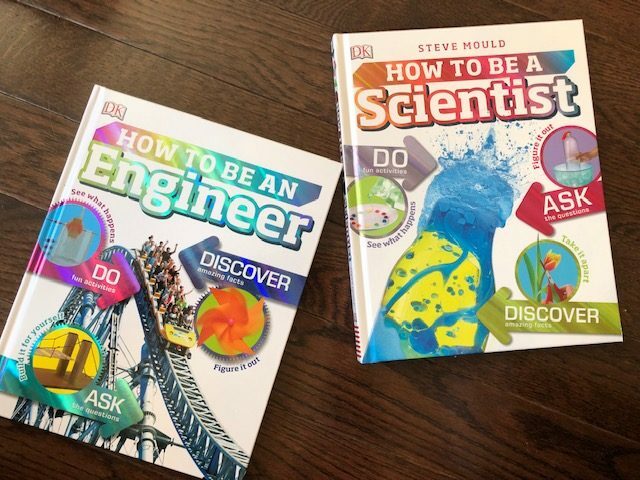 My friends at DK Canada are giving away a copy of How to be an Engineer and How to be a Scientist to one of my lucky readers. To enter, tell me what your child wishes to be when he or she grows up. Then fill out the Rafflecopter form below. Giveaway open to Canadian residents only. Mandatory question must be answered to be eligible to win. Giveaway runs from Mar 16 – Mar 26, 2019. Void where prohibited. See my terms & conditions for full giveaway info. My son wants to join the military! My son wants to be an artist and a science teacher. At the moment, my son wants to be a fireman. My nephew would love to be a policeman. She loves science and math but hasn’t said what she wants to be yet. One wants to be a teacher, and the other an engineer! My daughter last wanted to be a ballerina & doctor. My daughter wants to be an engineer. My oldest boy wants to be a singer and a daddy. My granddaughter wants to be a researcher or a museum curator. She’s so interested in how things work, how they changed from years gone by and trying to make new inventions. Our grandson would like to be an engineer like his dad when he grows up, so this book would be perfect for him. One of my little cousins wants to be a teacher.